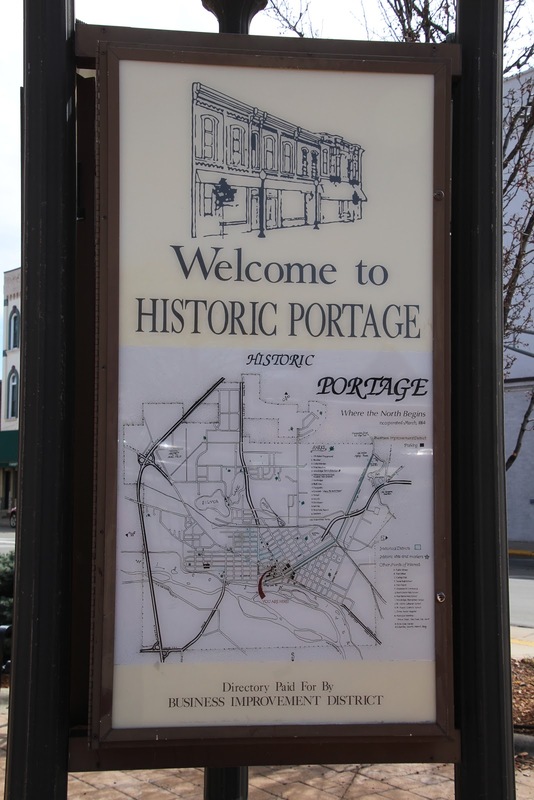 Her visits to Portage proved a turning point, when Gale discovered that the people of her hometown were a source of literary material. 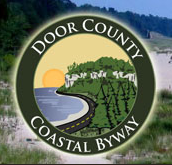 She traveled frequently, returning to Portage and living with her parents in a home at 506 W. Edgewater that included a study of her own facing the Wisconsin River. 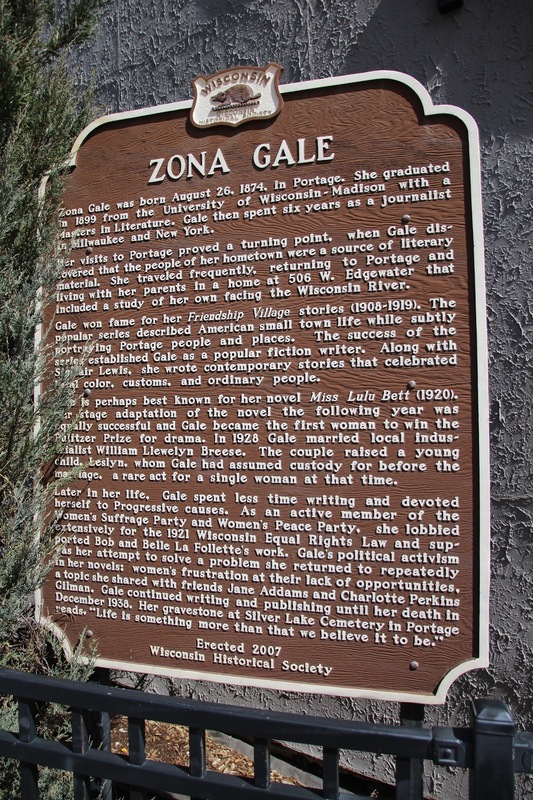 Later in her life, Zona spent less time writing and devoted herself to Progressive causes. As an active member of the Women's Suffrage Party and Women's Peace Party, she lobbied extensively for the 1921 Wisconsin Equal Rights Law and supported Bob and Belle La Follette's work. 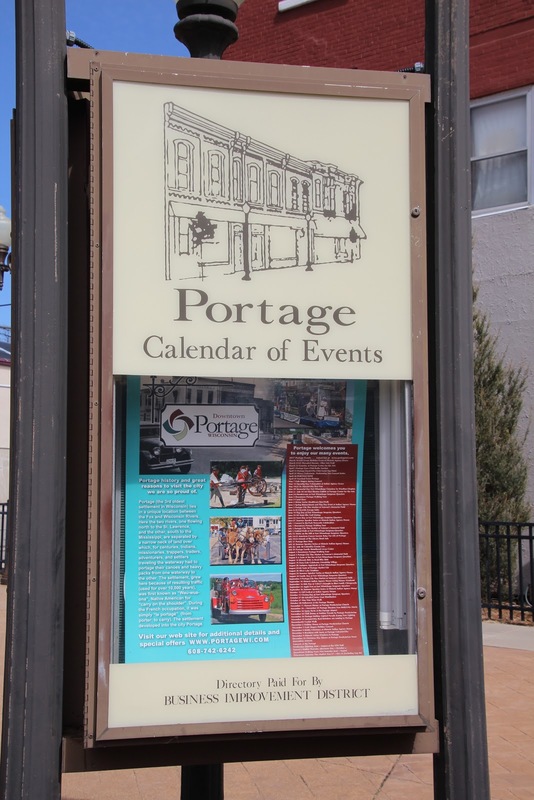 Gale's political activism was her attempt to solve a problem she returned to repeatedly in her novels: women's frustration at their lack of opportunities, a topic she shared with friends Jane Addams and Charlotte Perkins Gilman. Gale continued writing and publishing until her death in December 1938. Her gravestone at Silver Lake Cemetery in Portage reads, "Life is something more than we believe it to be." 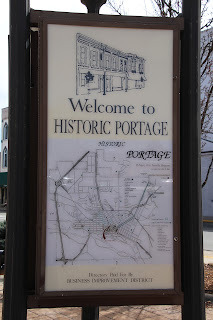 The marker is located at Commerce Plaza Park at the intersection of Cook Street / State Highway 33 and Wisconsin Street State / U.S. Highway 51 / Highway 16, Portage, Wisconsin 53901. See also, Marker 317: Frederick Jackson Turner, also at this location. 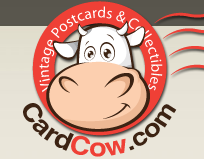 See also, Marker 480: Society Hill Historic District (located at the home of Zona Gale), at a nearby location. 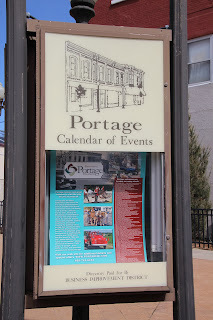 The marker is located at Commerce Plaza. 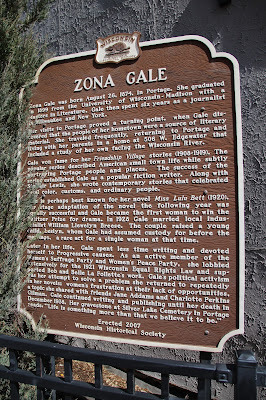 Zona Gale's home is now home to Museum at the Portage.